Are you looking to expand your business? If so, Mitchell County is the place for you. We offer low cost utilities, tax incentives, an existing infrastructure, and a skilled workforce (around 130,000 within 30 miles.) Mitchell County is an affordable place to live, raise a family, and to operate a business. Mitchell County is a tier 1 community, which means businesses get to take advantage of higher tax credits. 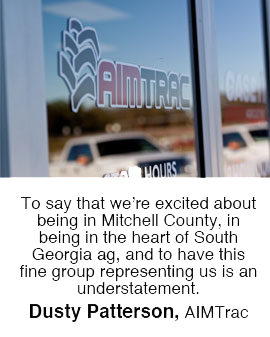 Mitchell County is a “Certified Work Ready Community”. Mitchell County has an economic development department, the Mitchell County Development Authority, which is equipped with the proper resources to help you during your expansion. Georgia offers business incentives such as Job Tax Credits, Investment Tax Credits, and a Port Tax Credit Bonus. Quick Start, a program offered by the state of Georgia, is an internationally known provider of workforce training for businesses that are expanding, and/or creating or saving jobs. This training is available free of charge. If you are ready to expand your business contact the Mitchell County Development Authority.